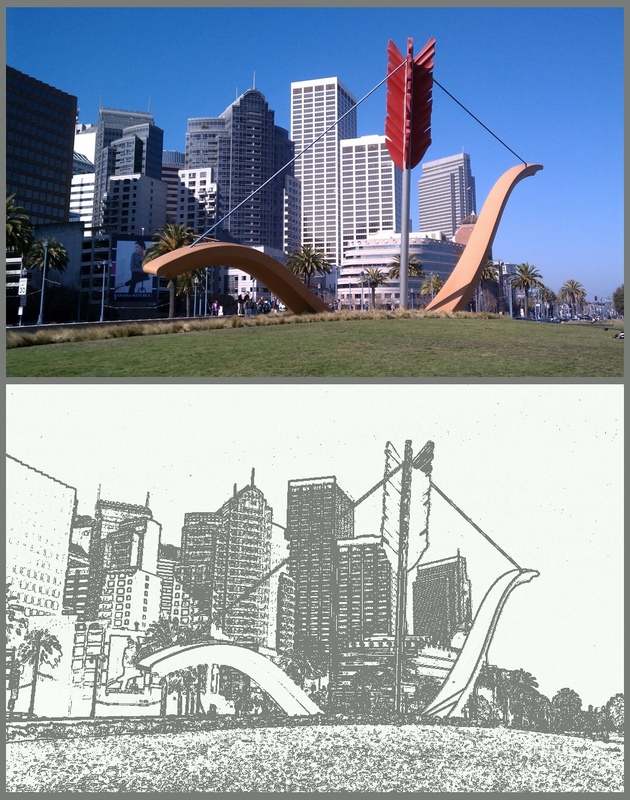 This sculpture on the Embarcadero near the Ferry Building is called "Cupid's Span". Some people love it, some hate it. Me? I love it! Sure it's kinda cheesy, but I love cheese and seeing this sculpture during my walks makes me happy. You live in a beautiful city - so many interesting things to see. We see art like this all over the Netherlands, Mad, and I LOVE LOVE LOVE it.